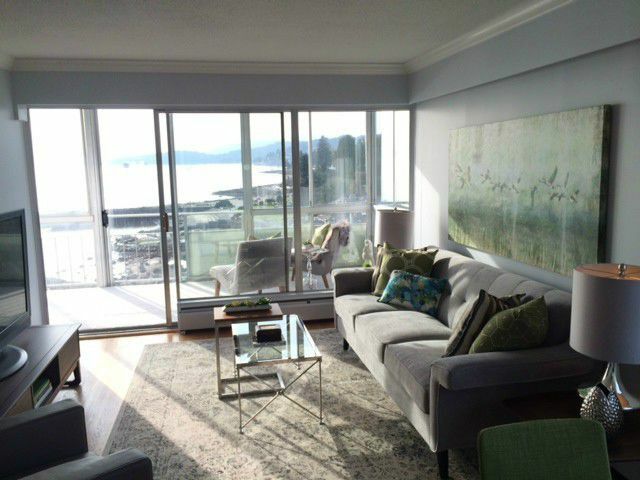 Situated on the West Vancouver Seawall, this stunning one bedroom apartment boasts amazing southwest ocean views as well as unobstructed views of Cypress and Grouse Mountains. The entire unit has been updated (kitchen, bathroom, crown mouldings etc...) as well as the balcony has been enclosed. This offers a 114 sq.ft. multi-purpose space that can be used year round. This is the only enclosed balcony 1 bedroom for sale in the building as these don't come up often. Nothing beats the lifestyle of living at The Seastrand as you are steps from the Seawall, shopping, restaurants and community centres. Finally, the heated outdoor pool lined with palm trees makes you feel like you're on vacation all year round.